Chronograph and dual time functions are not often combined together. The Jaeger-LeCoultre Master Compressor Chronograph Ceramic watch combines these much sought-after indications while providing users with an additional safety feature in the shape of its patented compression key. 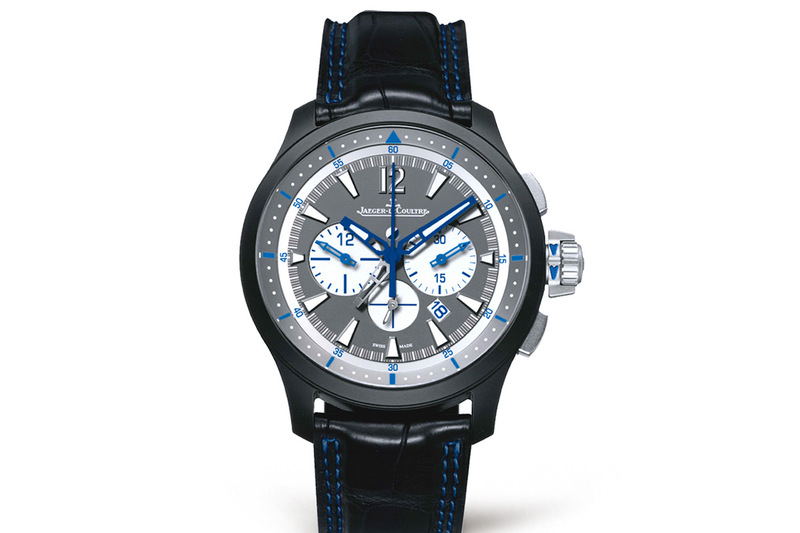 In 2016, Jaeger-LeCoultre presented a new version of this model characterised by a charcoal grey dial and blue openworked hands and five-minute markers. The indications stand out clearly against the opaline dial ensuring perfectly readability. The chronograph hour and minute counters are respectively positioned at 9 and 3 o’clock, while the lower part of the dial is reserved for the small seconds hand which spins at 6 o’clock, and for the date window placed between 4 and 5 o’clock. appearing through a window just below the Jaeger-LeCoultre signature. 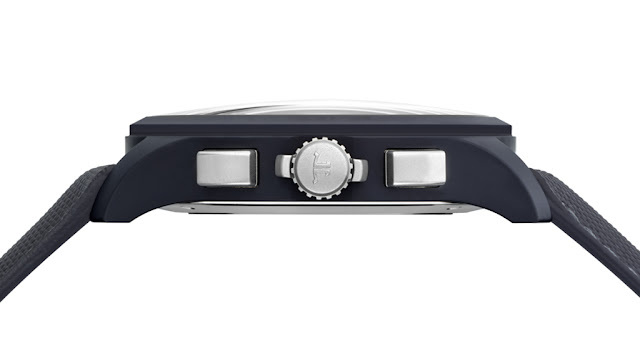 The 46 mm x 14.3 mm case is crafted from black ceramic and fitted with a compression key crown and satin-brushed steel push pieces. The watch is water resistant to 100 metres / 330 feet. 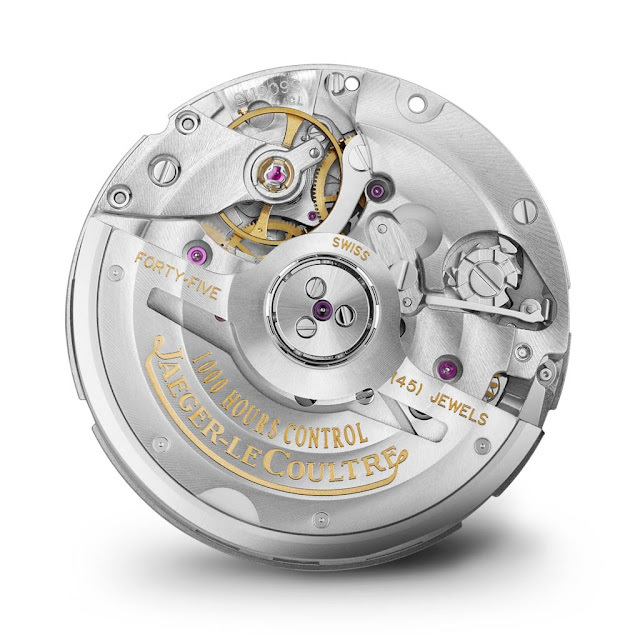 The self-winding manufacture Calibre 757 beats at a frequency of 28,800 vibrations per hour, and features a comfortable 65-hour power reserve. No less than 300 parts are required to drive the multiple functions of this timepiece. 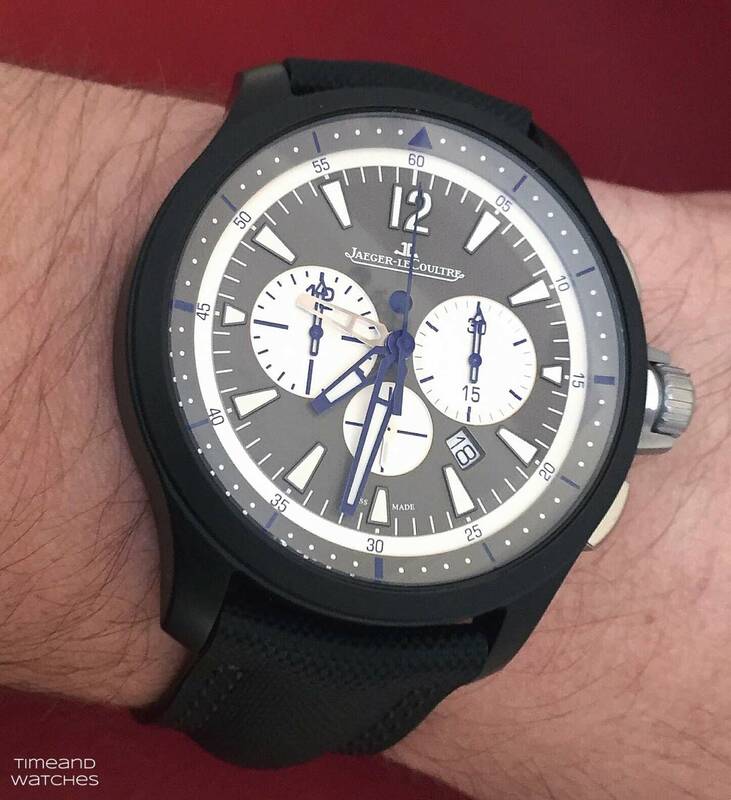 Chronograph and dual time functions are not often combined together. 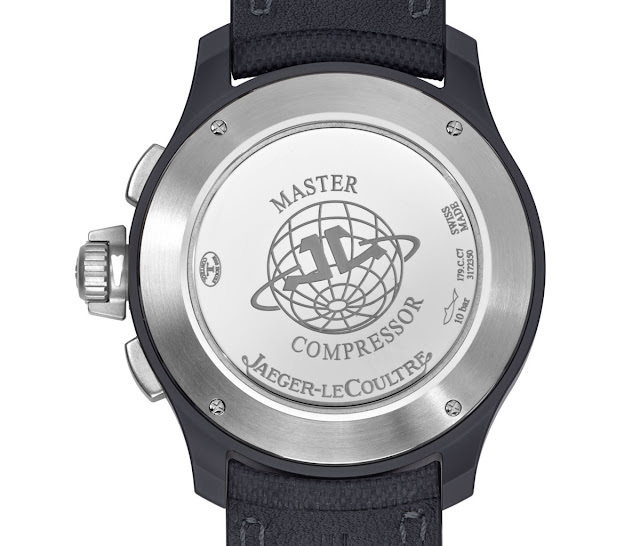 The Jaeger-LeCoultre Master Compressor Chronograph Ceramic watch combines these much sought-after indications also providing users with an additional safety feature in the shape of its patented compression key. 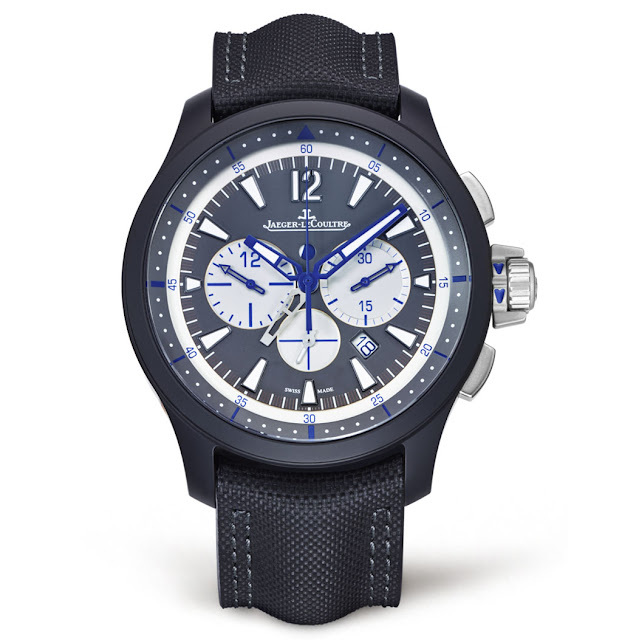 the Jaeger-LeCoultre Master Compressor Chronograph Ceramic Ref. 205C571 has a retail price of Euro 13,600 / US$ 14,000.